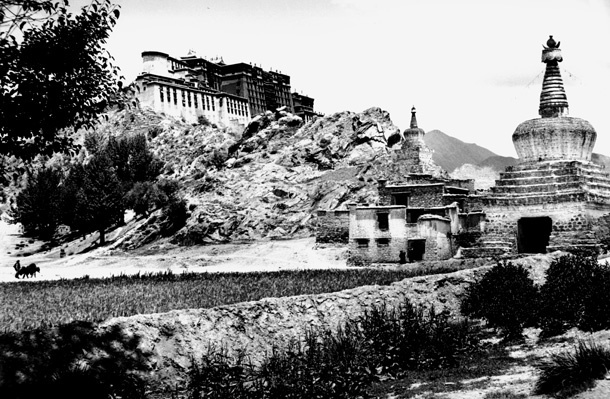 “This immense gate was the only entrance to Lhasa when approached by the caravan route from the west. After nearly two years in flight from India—flight from a world at war—Peter Aufschnaiter and I entered the city through this gate. We had read that monks stood guard at the gate to protect the ‘Forbidden City.’ We were immensely relieved when we walked through it unhindered: we looked like beggars, and much of what had been written was by authors who had never been to Lhasa.